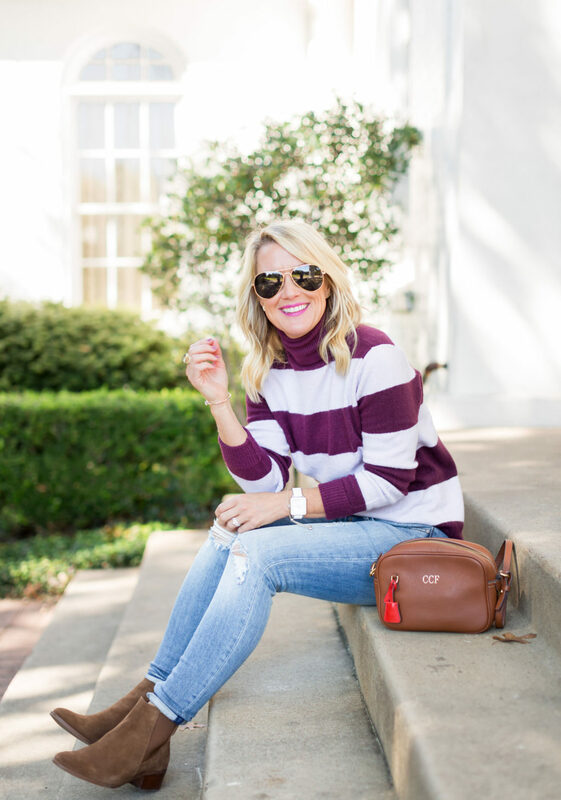 Work to Weekend | Striped Sweater | hi Sugarplum! 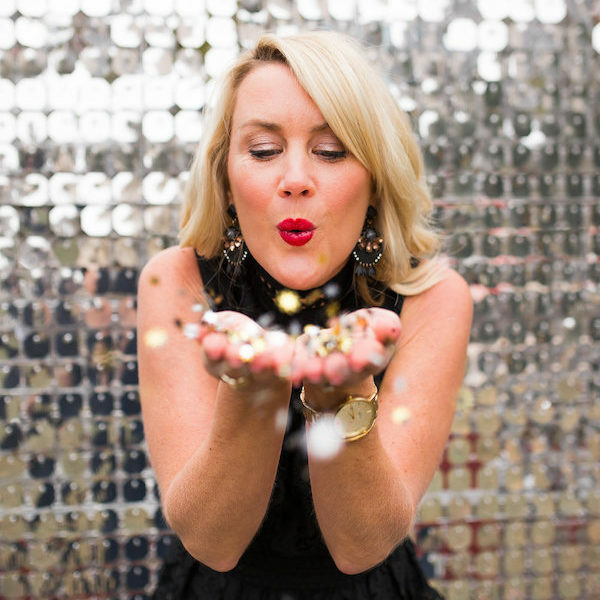 From Holiday Glam to puppies to work wear…this week has a little bit of it all! And get excited about tomorrow, too…an all new Amazon Fashion Finds is coming your way! 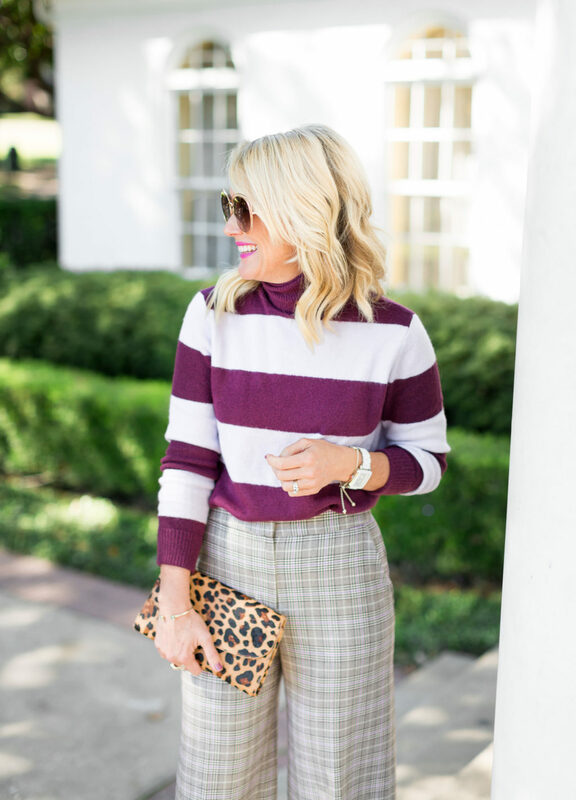 I get a lot of requests for Work Wear ideas, but I know many of you don’t work in a formal office setting, so I like to create these Work to Weekend posts to hopefully give everyone a little something-something! Plus, you know I like to stretch the wearability of my clothes! 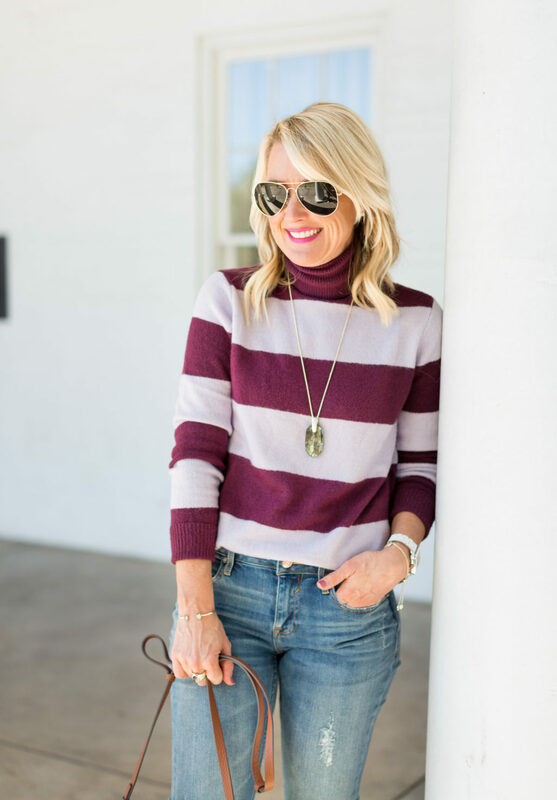 I’m super excited about today’s styles…not only are they two of my favorites in awhile, but I’m also sharing a few pieces from Kendra Scott’s new Winter Collection. The woman is a #girlboss and just keeps creating the most amazing jewelry! And speaking of #girlboss, did you catch the launch of the Halogen x Atlantic-Pacific Collection last month? Oh my word, I’ve been a hard-core fan of Blair’s feminine, flirty, and bold style for years, so I wanted pretty much everything. But as soon as I spotted this striped sweater, I knew it would be mine. The hardest decision was figuring out which color combo I wanted! In the end, I settled on the lavender stripe. 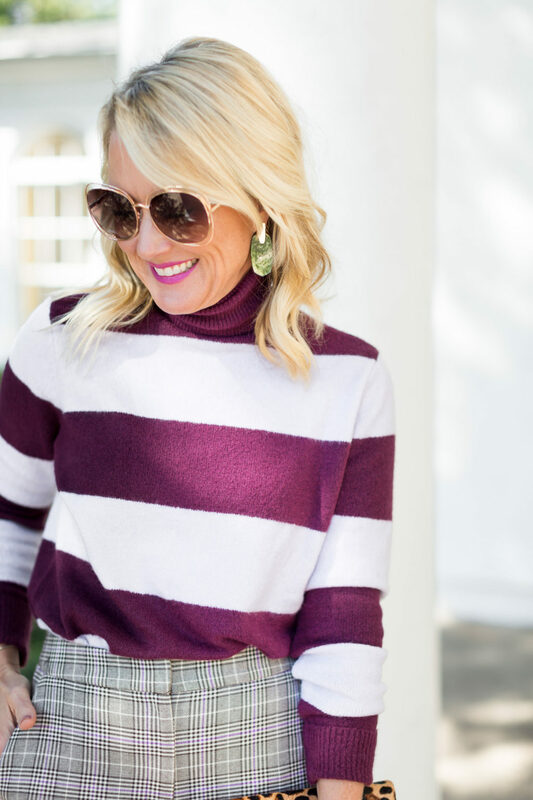 Such a fresh and unexpected color for Fall, but surprisingly versatile. The website calls this color ‘lavender & burgundy’, but it’s definitely shades of purple. #gofrogs It’s soft and stretchy, with a tall, ribbed turtleneck and cuffs. I paired it with plaid wide-leg trousers for a fun pattern-play, and I’m mildly obsessed with the combo! Fit Tip: The sweater is relaxed through the body, but still true-to-size. I’m wearing an XS. 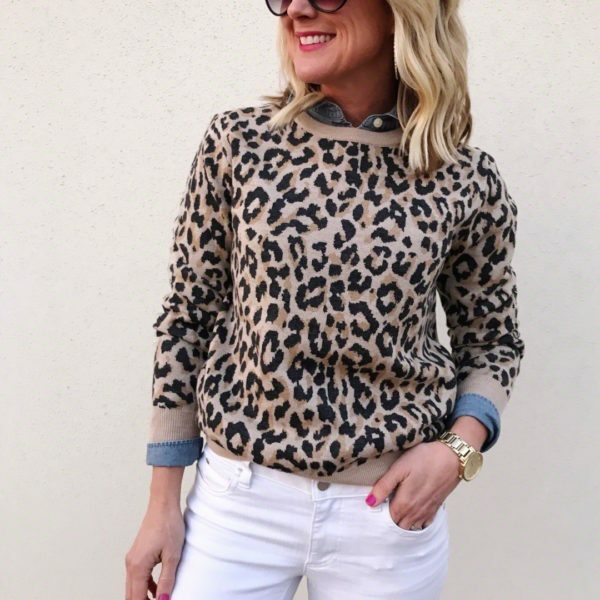 Oh yes, there’s leopard in the pattern mix, too! But it’s a neutral, so it doesn’t really count. 😉 You may recognize this clutch from my Gift Guide. 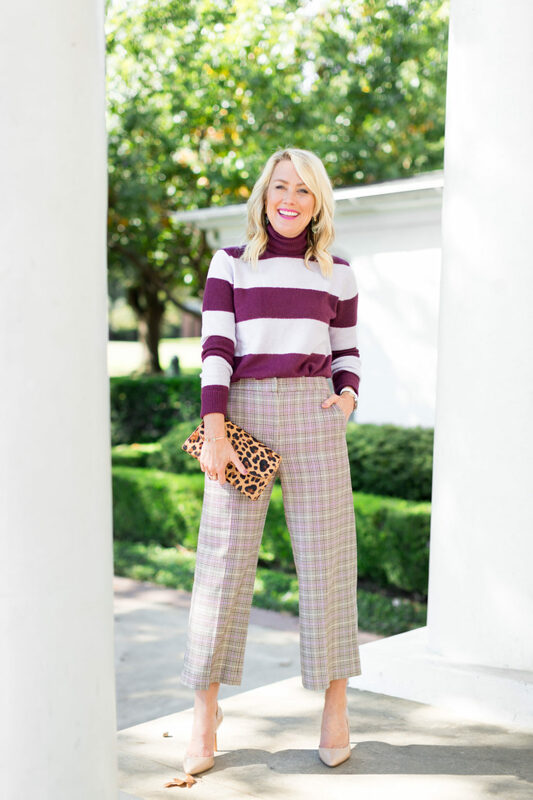 Let’s chat about these trousers…cropped, loose, and a darling plaid. 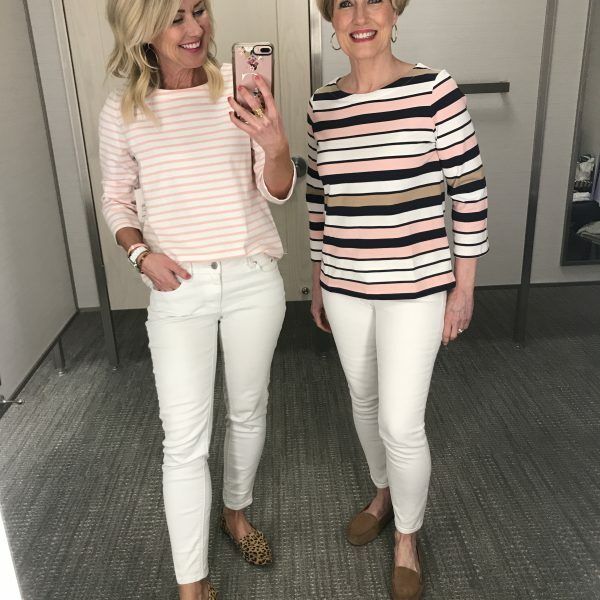 There’s a reason you don’t see a lot of pants on the blog…most don’t fit me well, or at least not right out of the box! But these fit like a glove from the get-go, almost like they were tailored just for me! 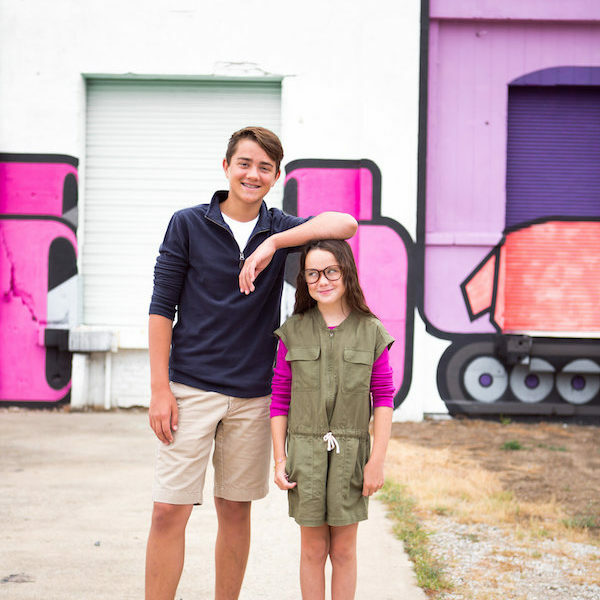 Maybe it’s because the wide-leg is so forgiving, or the perfect pocket placement, but they fit and wear beautifully. And bonus, they’re 50% off! Did you notice the earrings? They’re the signature Kendra Scott shape, but removed from the frame. I love this deep sage hue, especially paired with the lavender. 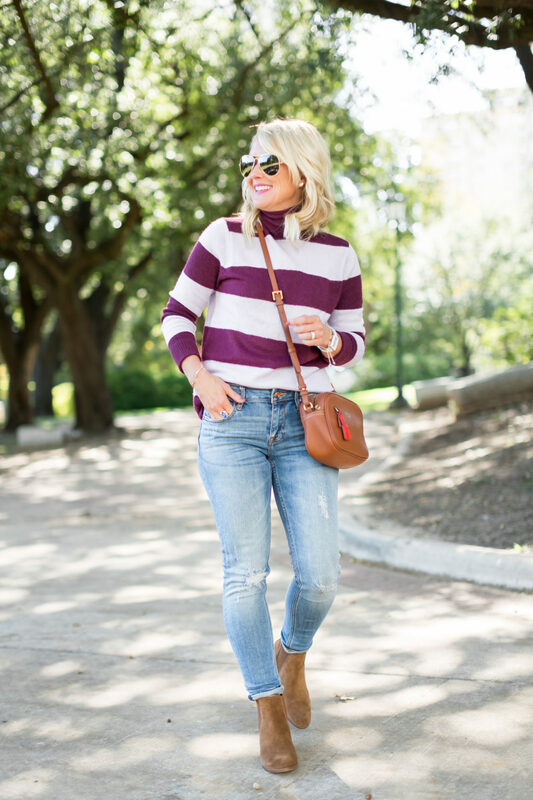 Not only is the wide-striped sweater fun with plaid, but it makes a basic ‘boots & jeans’ outfit extra cute! 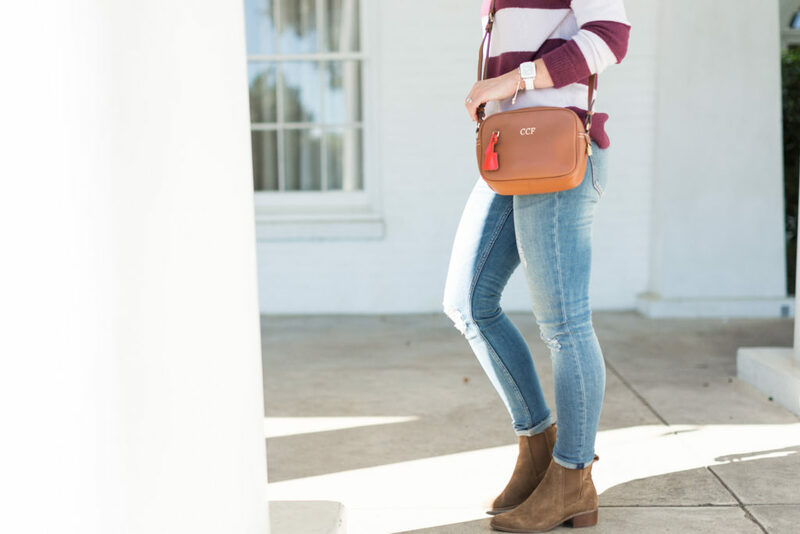 Paired with distressed jeans and flat boots, it’s casual and cool. I’ve been wearing these jeans a lot lately, I love the lighter wash and minimal distressing (no skin shows through). Fit Tip: They’re true to size, but if in-between I’d go down one. I’m wearing a 26. You’ve seen these Chelsea boots on repeat around here…I’ve yet to find a better flat boot under $100. Plus, they’re comfy! I get asked about this nail shade all the time on social media…it’s the only color I’ve worn all Fall. It goes with absolutely everything! 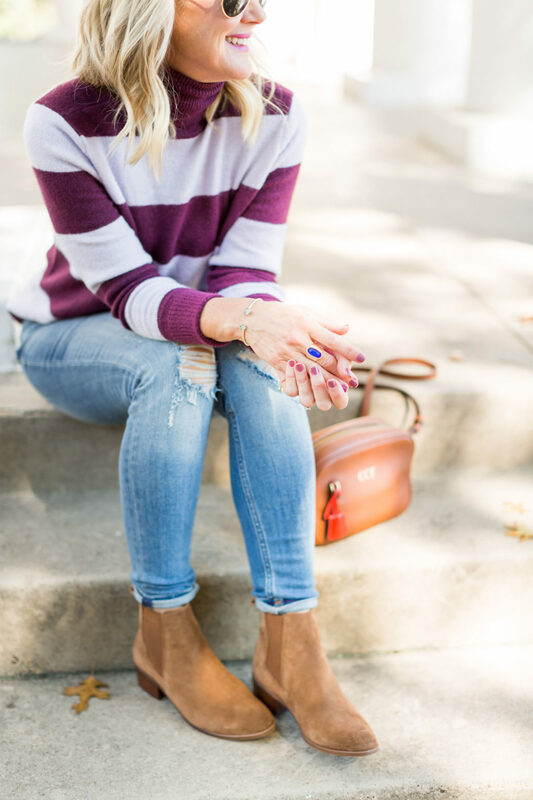 Now that it’s cooler, I’ll be adding this peacoat to the mix (on sale under $40, but size up one!). I shamelessly own it in three colors now. What fun new color combos are you loving lately? Which of these styles is most up your alley? 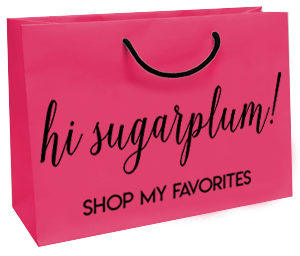 See you tomorrow for an all new Amazon Fashion Finds. Love both of these outfits so much! But the jewelry stole the show! 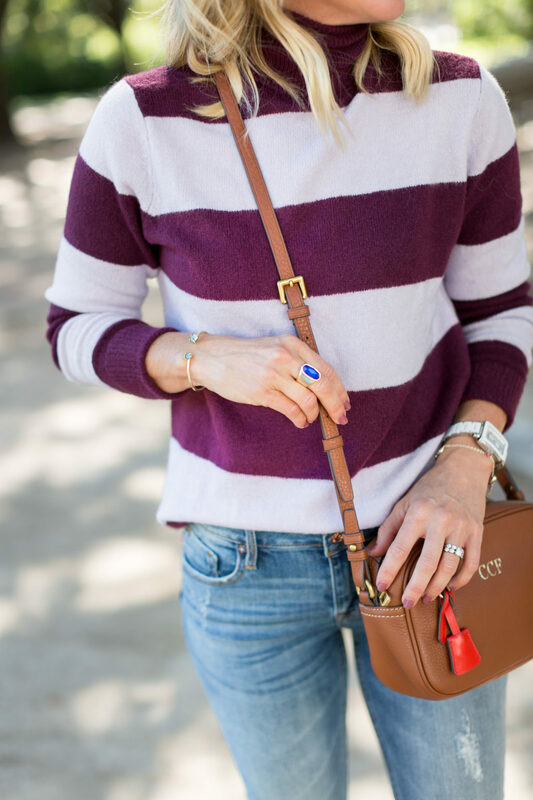 Love this sweater! Purchased when you posted it on Instagram. 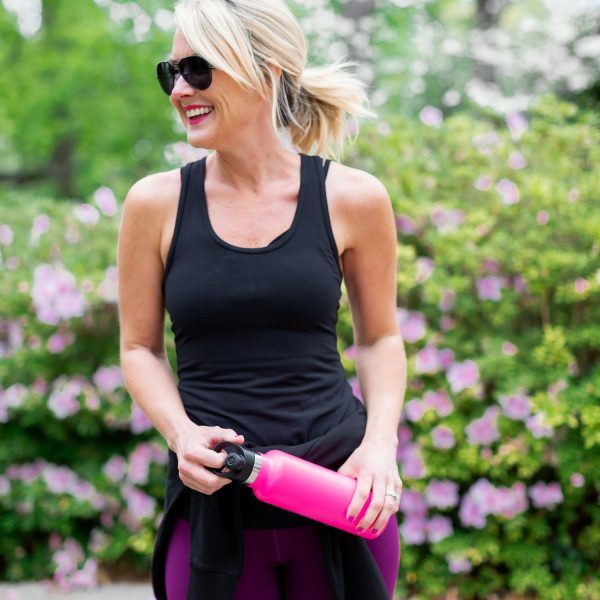 The soft stretchy knit is so cozy! Oh yay, I’m thrilled you like it! What color did you go with?? I love all the combos! 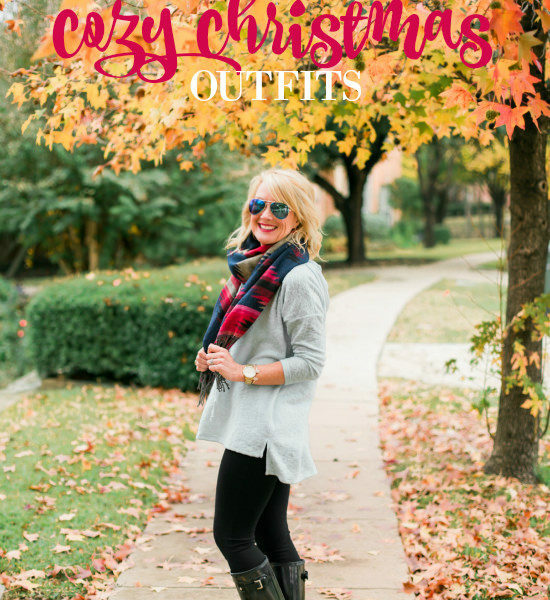 This whole outfit is darling! I especially love the green earrings and might just put them on my Christmas list now!! Thank you! I like that they’re a little different, and the green goes with so much! That leopard print clutch might be the cutest one I’ve seen so far! I love it! Agreed! It’s the perfect size, and even has little slots for cards, and an option chain for wearing on your shoulder!